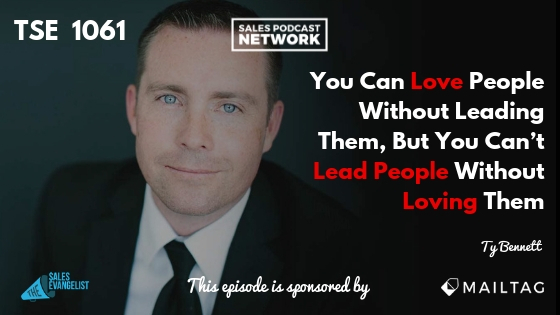 Regardless of your industry or your product, relationships are the currency of your business, and though you can love people without leading them, you can’t lead people without loving them. 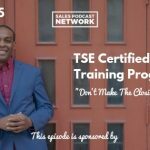 Ty Bennett is an entrepreneur who fell in love with the speaking and training development aspect of building a sales team and it led him to write books on the topic and start a training company called Leadership Inc.
Ty points out that we’re in the people business and we’re interacting with, networking with, leading and influencing people every day. The care, investment, and love you have for people will communicate that you have their best interest in mind. Those relationships engender trust, foster accountability, and build a level of commitment that you want in your team. And love drives it. Many business books never discuss love, perhaps because it isn’t considered a business-centric word. Ty addresses this issue in his new book called Partnership is the New Leadership. He interviewed a guy on his podcast named Tim Sanders who wrote the book Love is the Killer App but this hasn’t always been a business word. Traditionally it has referred to personal relationships but when it drives your actions and when you’re coming from a place of service and contribution, that’s where love exists. Leadership is much more effective there. Some people believe that leaders can’t be perceived as soft, so they shy away from the idea of loving the members of the team. If you’re too soft, after all, you’ll be walked on. If you were to line up 10 people and evaluate the production level of those people, you’ll find a relationship to how they feel about their manager. Statistically, most people will tell you that they hate their bosses, and also that people join companies and they leave bosses. People also show up differently when they are in the right frame of mind; when they feel supported; when they feel heard; and when they have opportunities to win. If you’re seeking to develop this kind of leadership without being perceived as soft, focus on being interested rather than interesting. Rather than figuring out how to stand out and making it all about you, focus on the other person. Great leaders are those who truly care about other people and become adept at asking questions. They have a genuine curiosity about people. They want to know what drives them and what’s important to them. As you get to know your people on a deeper level, it speaks volumes to your team members. Now take things a step further and focus on hearing them. Don’t forget the idea that people support what they help create. Give your team a voice. Welcome their feedback. Those efforts demonstrate that you care about what they have to say and you’re listening rather than simply issuing marching orders. You’re demonstrating that you’re confident enough in who you are to allow them to be part of the process. We no longer live in the era of top-down leadership where I tell you what we’re going to do and you implement it. Social media has changed us psychologically and it has given each of us a voice. Go above and beyond for your people. Do things that are not in your job description. Give more time, more energy, and more of yourself into your relationships. Reach out in ways that are meaningful to each person. No doubt each of us can think of someone who has invested in us this way. As leaders, those investments change our relationships. When you invest in people they become family. Ask yourself whether people would ever say that about you. This level of investment can be difficult because we’re busy. We have so much on our plates that it’s hard to think outside our own agenda. It can also be tempting to focus on the things we have to do and ignore the things that we could do but aren’t required to do. At the same time, we have to shift our mindset. Maybe we need to listen to a podcast or hear a story from a different leader. Maybe we need to find a leader who can open our eyes to different approaches. Perhaps read a book. Although every industry is different, Ty interacted with sellers recently who told him that their loyalty was to their manager, not to the company. The product matters a lot less to them than the manager does. If you’re seeking to become this kind of manager, start by carving out one-on-one time for your people as often as possible. Come in five minutes early and ask one of your people to come in five minutes early. Make time for it. Find time to connect with your people with no agenda. It’s just to show that you care. Ty also recommends reading The Go Giver, one of a series of books about adopting a giving mentality on the way to greater success. Relationships change when people invest in them. When a leader invests, it will impact the relationship in a huge way. 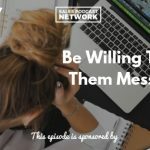 If you’d like to connect with Ty, you can find him at tybennett.com and on LinkedIn, and you can check out The Relevant Leadership Podcast. Grab a copy of his new book called Partnership is the New Leadership.